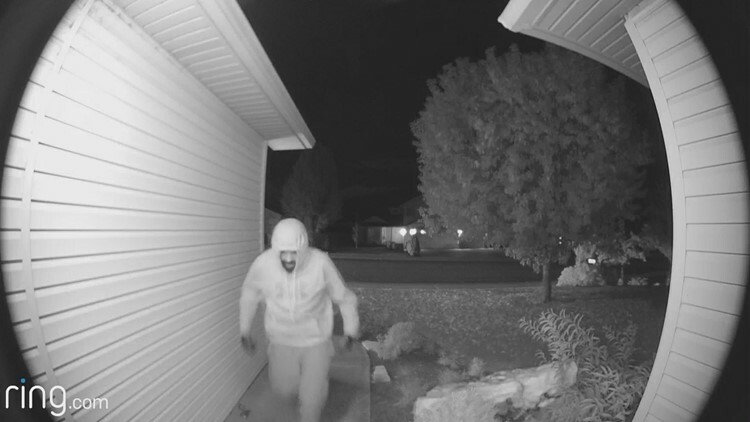 A suspected package thief in Idaho. Simple porch thief solutions, such as requiring a signature for delivery or having a package delivered to your workplace, could save you headaches later on. Preventing packages from being stolen involves a good deal of planning and scheduling, but it’s worth doing, especially if you’re craving a little peace of mind. A 2016 study commissioned by August Home, a company making smart locks, found that 53 percent of 1,000 respondents surveyed said they worried about packages being pilfered. Carriers such as UPS and FedEx require an additional fee to schedule delivery windows for a specific time (though UPS My Choice Premium members receive two free requests with their annual subscription). The United States Postal Service doesn't offer that service, but will allow you to schedule a redelivery time if you missed your delivery. If you aren’t able to schedule a specific delivery window, do your best to anticipate the package’s arrival. Once you get a tracking number for your package, follow the shipping process and try to stay home at the time of delivery, if possible. This limits your flexibility for other activities, but it’s worth it. Leaving your packages unattended only increases the probability of them getting stolen from your front porch, or from an apartment building that doesn’t have a doorman or reception desk. If you require a signature from major carriers, including UPS, FedEx and the USPS, you can at least be reasonably sure the delivery person won’t leave your package sitting on your doorstep unattended. Unfortunately, this means schlepping to their closest retail location to retrieve your package later, but at least you’ll know your bounty is safe. Since being at home waiting for delivery may not be an option, you could have all your UPS packages delivered to a nearby UPS location. It's not ideal for large bulk shipments of Amazon Prime household supplies and groceries, but it's safer, and the poor Amazon customer service attendants don't have to deal with your frustration and rage on the phone whenever a delivery goes missing. UPS’s My Choice enables you to redirect your packages for free to a preferred UPS store, a corner store or other independent businesses in your neighborhood that are in the UPS Access Point network. FedEx offers a similar service. You can also reroute your packages or customize delivery options using the FedEx Delivery Manager. Seattle start-up Package Guard will set up an alarm to go off if a thief tries to steal a package off your porch. All the thief has to do is touch the item, and a 100 decibel alarm will sound. Inventor Michael Grabham admitted the alarm may not deter the most brazen thieves, but it will draw attention to someone running down the street carrying your package. When you want to pick up the package yourself, you can disable the alarm through an app on your phone. To keep up with the booming e-commerce and rising reports of package theft, major shipping services — FedEx, UPS, and the USPS — have built self-service lockers and expanded the programs nationwide. Customers can direct their packages to the lockers for free and access their deliveries 24/7. In the same vein, Amazon has built its own lockers across the country. When you do a checkout on Amazon, you can choose to have your purchases delivered to a nearby locker or a pickup point of your choice, free of charge. Or you can do the old-fashioned thing: Open a P.O. box with the USPS. It’s not free, and note that private shipping companies or carriers, such as UPS, FedEx and Amazon, are not able to place mail there. If parcels are coming with the Postal Service and you will be out of town, you can take advantage of a Hold Mail service. The service allows you to put in requests ahead of time before your travels; items will be held at your local post office until you return. FedEx and UPS offer similar services through their own personalized programs. You might want to try Amazon Key if you feel comfortable with in-home deliveries. The Amazon service launched in November 2017 in response to increasing package theft. Amazon Key requires customers to buy a kit including a security camera and a smart door lock. (The cost starts at $250). A delivery person then would be able to enter your home and place your package in the house. Amazon would notify you the morning of the delivery and send you notifications before and after the delivery. The camera starts recording when a package comes to your door. It captures the entire visit. You can watch the visit live or review a recorded video later. Note: Amazon Key is only available for Prime members in selected areas. If you are interested in installing the service, check if your neighborhood is covered. You’ve tried everything — or you haven’t — and now you’ve fallen victim to those insidious porch pirates. What’s your course of action then? Contact the retailer. Many retailers will resend an item or issue a refund if a package was not delivered as promised. They insure deliveries, knowing that a certain number of items are bound to go missing. Reach out to your credit card company. Some credit card companies offer protection for clients whose purchases end up being stolen. Make sure to check with your company for specifics, since benefits vary and may be limited. Request a missing-mail search or a lost-package claim with the carrier. It will start your claims process and keep you updated. If it’s determined that your package is lost or damaged, depending on the company and the item stolen, you will get refunded fully, partially or just for the shipping fee. File a theft report with the local police. Many departments warn residents to stay vigilant against package theft, especially during the holiday season. However, it’s hard for them to investigate missing packages without hard evidence. But at least you know that by filing theft reports, you’re helping the police better understand and analyze neighborhood crime trends. So there’s that.